Adelaide RT Mini Buses offers chauffeur driven mini buses in all sizes for all occasions. We offer bus and coach hire to a wide section of the community, our major focus is schools, tours and transfer. Having been in the industry for many years we have a good knowledge of greater Adelaide and South Australia and can help you coordinate the largest of bus transfers. 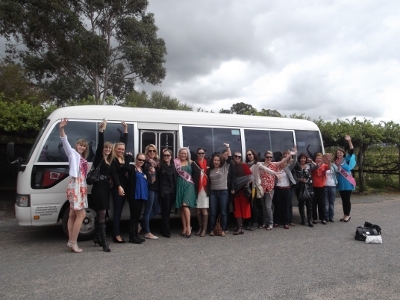 Adelaide RT Mini Bus is not just about charter and bus hire, we can help organise your next birthday celebrations with a day in the wineries, check out our Wine Tours pages or if beer is more your thing we can put together a Brewery Tour through The Adelaide Hills or The Fleurieu Peninsula for that special occasion. For Seniors and Corporate Groups Adelaide RT Mini Bus has coordinated many outings, tours and shopping days, checkout our tour pages for more ideas. When the Tour Down Under comes to town Adelaide RT Mini Bus helps coordinate moving large groups of cyclists around, we have trailers available to carry pushbikes. With all major events please ensure you book well in advance as we do get booked out. 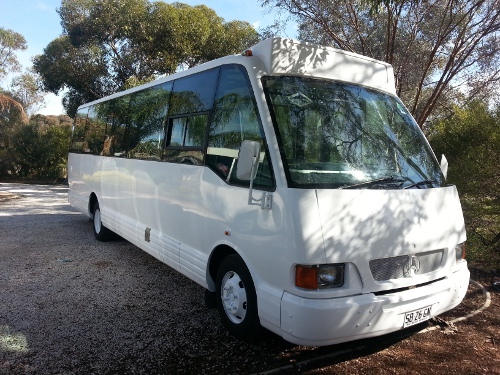 Wedding Groups – Adelaide RT Mini Bus can assist with Wedding party transfers of your wedding guests to and from venues to enable your guests get there and back safely. On the day of the wedding it is a great idea to hire a mini bus to move the bridal party from the ceremony to the photo session and then onto the reception. With the assorted range of buses available at Adelaide RT Mini Bus there is a bus to suit your every need and a friendly experienced driver to look after you and your group. ADELAIDE RT MINI BUS DOES NOT HIRE BUSES WITHOUT DRIVER WE ARE NOT A BUS RENTAL COMPANY.